Melanie Willetts has performed in ensembles, choirs and with bands, both small and big, since she was a child. Her college tour in Russia is of much repute even to this day. 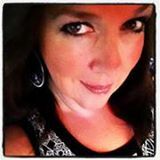 Melanie has an undergraduate degree in vocal performance and is completing a masters degree in worship music at Lee University. 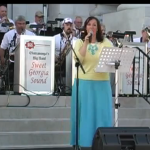 This is a showcase of performances of vocalist Melanie Willetts with Sweet Georgia Sound. If you’d like Melanie and Sweet Georgia Sound to perform for your event, contact us.